Jan Scruggs a Vietnam veteran and founder of the Vietnam Veteran Meforial Fund, has called for a memorial honoring service members killed in the Global War on Terror. Scruggs was photographed at the Vietnam War Memorial in Washington, D.C., on Monday, November 9, 2015. Editor's note: The following is a guest commentary. For months, the Vietnam Veterans Memorial Fund had been in the middle of a national controversy over the memorial’s design. National media outlets, ranging from The Wall Street Journal to "60 Minutes," were heavily involved. The affair even ended up at the National Security Council. 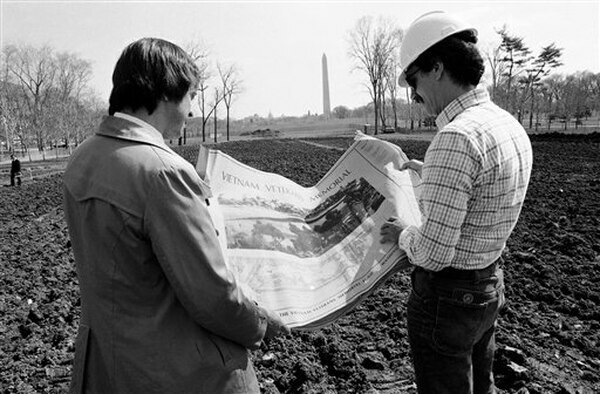 A staffer at the time was Army Maj. Bob Kimmitt, a supporter of the VVMF. The White House became the key player in keeping an unfriendly interior secretary in check. Politically skilled opponents of the cause held influence in the inner circles of the White House and Interior Department. Some opponents were determined to stop the groundbreaking despite our agreement to add a statue to the design. I was getting daily advice from some brilliant people, including former Attorney General Elliot Richardson, who told me to "keep the pressure on the White House by using the media to cover their indifference to an effort of such historic significance," and "embarrass the interior secretary with the media". His advice was sage. I was able to influence the White House with urgent memos to Ed Meese, then-counselor to President Reagan, from the Veterans of Foreign Wars. I met with Time Magazine's Hugh Sidey, whose piece showing the struggle behind the memorial's creation described me as "indefatigable." It also angered the interior secretary, precisely as planned, setting the stage for victory. The White House caved. Opponents threatened court action, yet a temporary restraining order was nearly impossible as a legal matter. On a cold and windy March day, veterans from each of the 50 states broke ground with shovels to show wide support. In the end, it was graduates of West Point whose planning and vision helped me get the job done, especially Kimmitt, John P. Wheeler III and Gen. William Westmoreland. Kimmitt later became ambassador to Germany. The opposition was led by Naval Academy grads James Webb, retired Vice Adm. James Stockdale and Ross Perot. They viewed the memorial as too modernistic. They had a fair point: A traditional statue was added in 1984, and President Reagan spoke at its dedication ceremony. 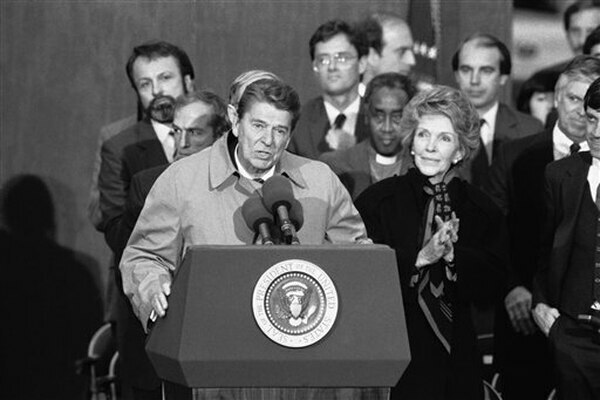 President Reagan, with his wife, Nancy, addresses a ceremony at the Vietnam Veterans Memorial on Nov. 12, 1984, in Washington. Since its construction, the Wall has hosted more than 100 million visitors and is an important symbol to both the nation and the veterans. Could we have built it today? I really doubt it – with social media, "fake news," Facebook, and so on, a few clever tweets would have brought the plans to an end. Plans for a new national memorial – one that will honor those who have served since the Sept. 11 attacks – are making progress. These service members deserve the memorial they are seeking. Warfare continues in places like Syria and Iraq, and likely will continue for many decades. Civilians have been honored at the National September 11 Memorial and Museum, the Pentagon, and a memorial in Shanksville, Pennsylvania. The veterans have been left out, even as they are under fire today in the Middle East and Afghanistan. Those veterans are taking action. Leaders of the effort again include service academy grads, such as Andrew Brennan, a former helicopter pilot in Afghanistan and the founder of the Global War on Terror Memorial Foundation. This team will meet the challenges ahead, which are substantial. Legislation to authorize construction is moving through Congress this year. It made progress last year thanks to then-Rep. Ryan Zinke, R-Mont. – a former Navy SEAL who is now the interior secretary. That is a stroke of luck; perhaps the Trump administration can get behind this effort. After legislation is complete – some skirmishing in Congress is expected; contact your lawmakers to push for swift passage – work will be done on a site and design. Funding and other tasks should take five years or less. 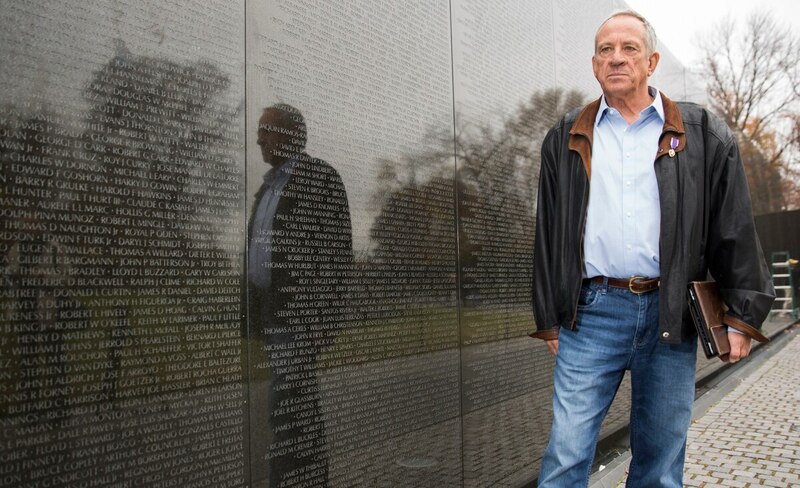 Jan Scruggs, who served in Vietnam and was the principal advocate for the Vietnam Veterans Memorial in Washington, wants to create a monument to veterans of the wars in Iraq and Afghanistan. The goal is to create a place of honor for the veterans of our most recent (and ongoing) wars to gather. It worked 35 years ago with the Vietnam Veterans Memorial. Let's welcome these veterans home with a memorial and a parade down Constitution Avenue. Jan C. Scruggs founded the Vietnam Veterans Memorial Fund and served as the group's president from 1979 to 2015. He's been on the board of advisers for the Global War on Terrorism Memorial since 2015. A native Washingtonian, he's now retired and living in Annapolis, Maryland.